Before moving to China 3 years ago, I had lots of concerns. How hard will it be to communicate with people? What will the apartment be like? How will we deal with the limited internet access? One thing I didn’t worry about was the food. I love Chinese food. I was a regular at the Chinese buffet in my college town. People told me that authentic Chinese food wasn’t like Americanized Chinese food, but surely it would still be delicious, right? While authentic Chinese food can be really good, I ended up in Hunan; the spicy food capital of China. It isn’t that I don’t like spicy food, but Hunan spicy food is far more spicy than anything you might find in America. I quickly found that there were many restaurants that I simply could not eat at because the food was just too spicy (even if I told them to make it bu la, not spicy). Another problem with the food here is that Chinese food isn’t very diverse. In America we have American food, Chinese food, Italian food, Mexican food, and so on everywhere. In China you pretty much only have Chinese food. That can get old pretty fast. Finally, sometimes you just miss a good old home cooked meal. Could you really live the rest of your life without another bowl of cheesy potato soup? I know I couldn’t. After a couple of months I set my mind to learning how to cook all over again. I started with simply learning to cook local Chinese food so that I could at least make it less spicy. After that, I started trying to find ways to make simple American dishes. I was so proud of myself the first time I made chicken noodle soup (out of a whole chicken!). I began toying with the idea of writing a cookbook just for people living abroad. But every time I got started, it would get a bit overwhelming. I have hundreds of ideas that all need to be broken down into individual steps and everything measured out exactly. I also didn’t know just how much of a need there was for something like that. Does every expat have the same struggles I did? I finally decided just to start small with just dumplings to help get me into the frame of mind for writing a cookbook and to gauge the interest for a larger, but more targeted, work. Thus, Crazy Dumplings was born. Crazy Dumplings is a food fusion cookbook. The outside is a traditional Chinese dumpling wrapper, but it is used as an amazing vehicle you can fill with whatever your heart desires. I have come up with ways to make curry dumplings, taco dumplings, cheesecake dumplings, burrito dumplings, and much more. 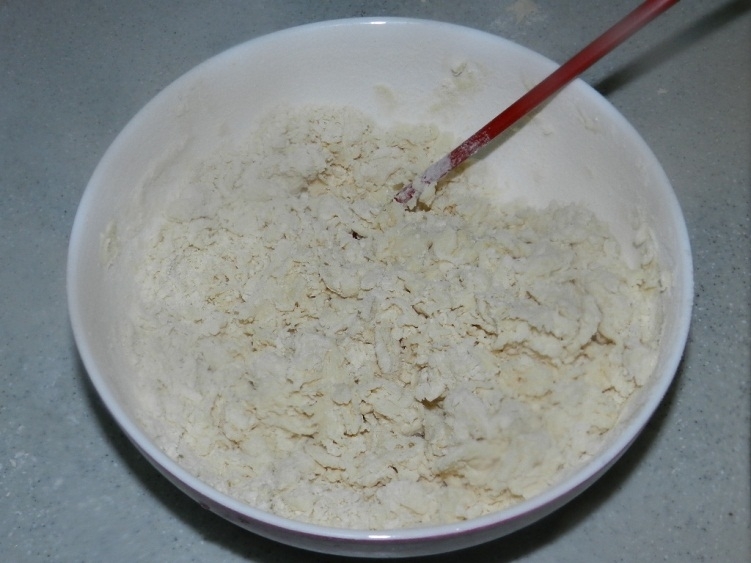 Mix flour and salt together in a mixing bowl. Drizzle in water, mixing with a chopstick or fork. Leave in bowl, covered with plastic wrap for 15 minutes. Pinch off small portion of dough and roll into a ball (about 1 inch in diameter). 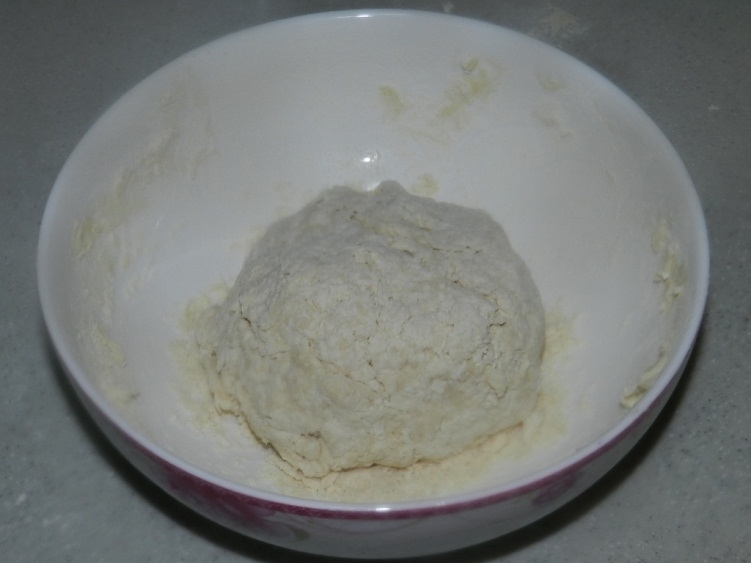 Roll out into a flat circle on the counter, dusting with flour to keep dough from sticking. Put small amount of preferred dumpling stuffing mixture into the middle of the flat dumpling wrapper. Pinch the dumpling closed. a. 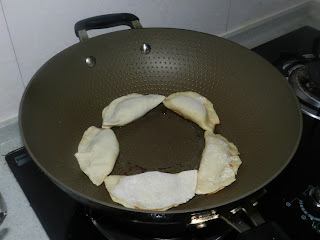 To fry dumpling, preheat oil for 30 second then lower heat. Cook dumpling on each side for only about one minute or until golden brown. b. To steam dumplings, place in a steamer or on an elevated plate in a wok over water for about 10 minutes. c. To boil dumplings, place in boiling water for about 5 minutes. Always cut a dumpling open to make sure it cooked through. 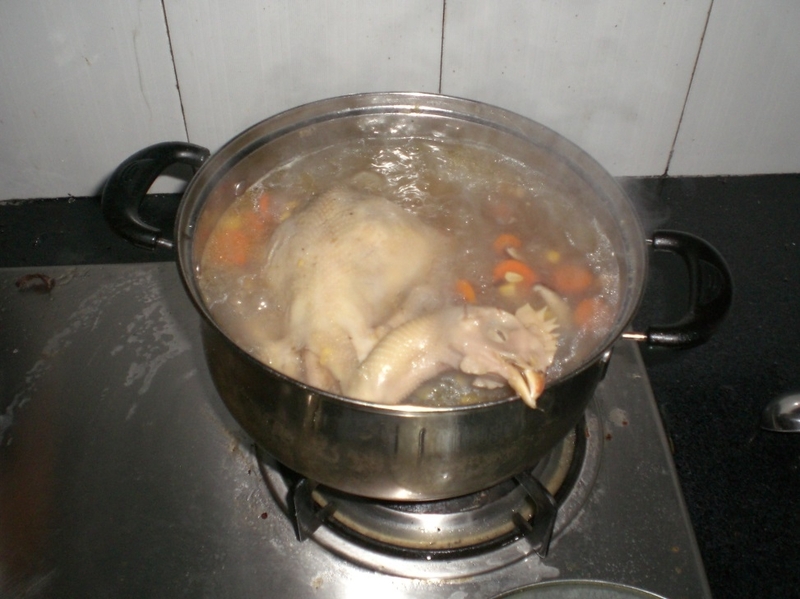 Mix soup, milk, and seasonings into saucepan and cook on low heat until mixture boils. Mix chicken and 3 heaping tablespoons of soup mix in a bowl. 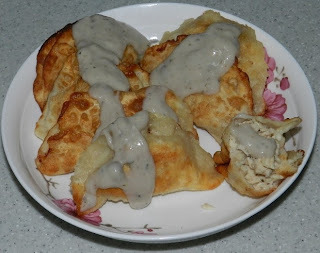 Spoon chicken mixture into dumpling wrappers. Fry dumplings for approximately one minute on each side or until golden brown. Serve topped with remaining soup mixture. You can find all these recipes and many, many more in Amanda Roberts’ new cookbook Crazy Dumplings, now funding on Kickstarter. Crazy Dumplings will contain 30 of my original dumpling recipes plus 5 dumpling recipes submitted by backers, the dumpling wrapper recipe, and several original sauce and dip recipes such as buffalo sauce, guacamole, and salsa. There are dumpling recipes for appetizers, main courses, and desserts. You could even prepare a whole Thanksgiving dinner totally out of dumplings with this book! I am self-publishing this book, but cookbooks (largely due to the cost of a photographer and testing recipes) are far more expensive to produce than regular books. This is why I am turning to Kickstarter for help. There are some great reward levels including a digital copy of the book at only the $10 level, a physical copy of the book at only the $15 level, and the awesome dumpling dumplinger at only the $20 level (the most popular level for this campaign). But at the $50 level, backers can even submit their own awesome dumpling ideas to be included in the book. 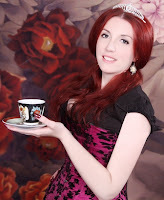 Amanda Roberts moved to China in 2010 to live out her dream of becoming an English teacher. Little did she know that the hardest adjustment to life in a new country would be the food! After three years, Amanda is ready to release her first cookbook, Crazy Dumplings!